"We all know that success of an organization is measured by its achievements. 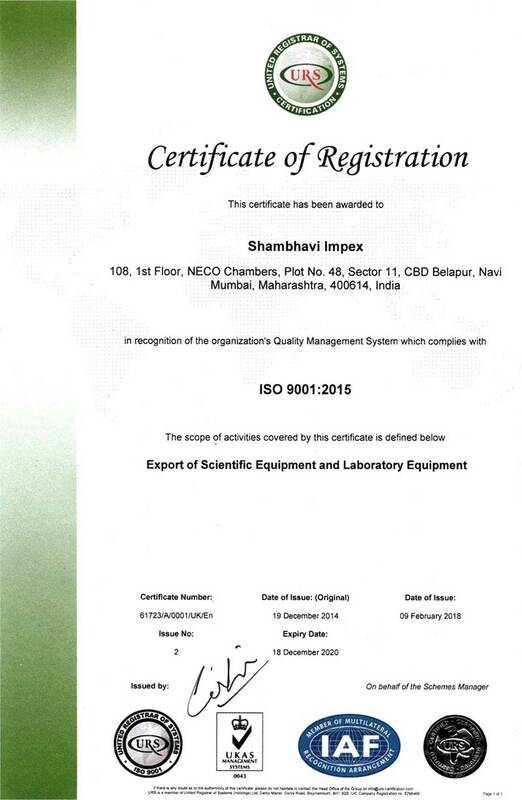 Shambhavi Impex has crossed many milestones in its journey on the path of excellence." 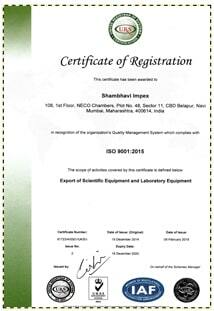 Shambhavi Impex proud to be an ISO 9001:2008 certified company for all our Quality Systems & Procedures as per ISO norms. 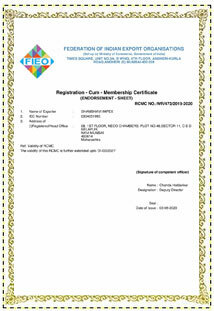 We are member of Federation of Indian Export Organization (FIEO). 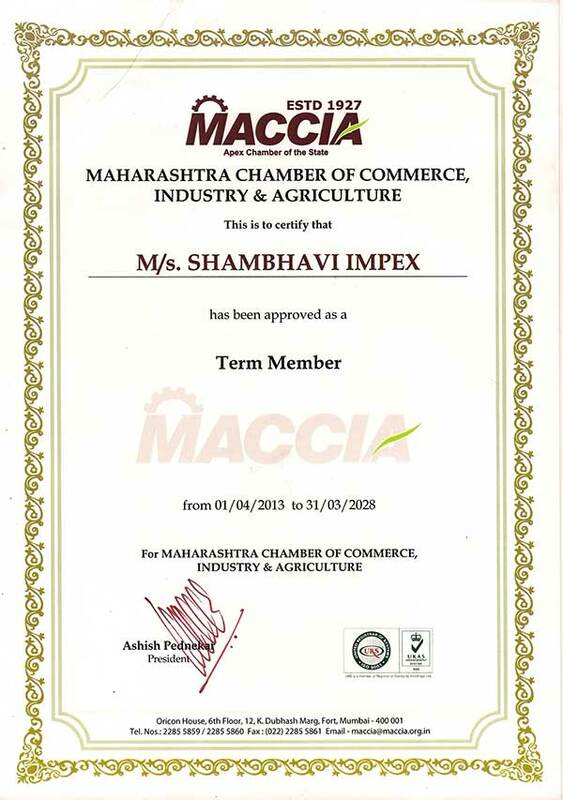 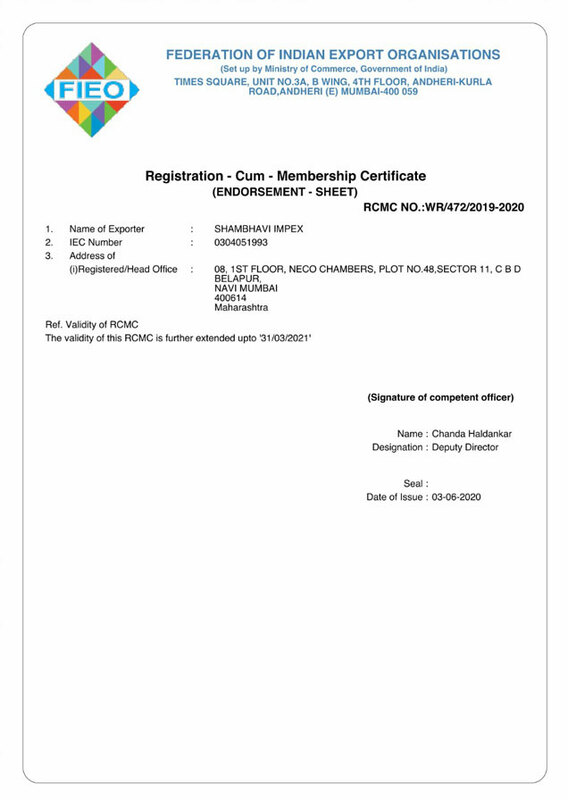 We have been certified as a term member of Maharashtra Chamber of Commerce, Industry & Agriculture (MACCIA).